David Kim Barclay was amazingly eclectic in his endeavors. At Mt. Hope Elementary School, he won multiple awards for his writings. He taught himself origami, loved drawing, playing the bagpipes, and making sculptures. He was a Black Belt in Taekwondo and had developed successful phone apps. He loved to fish but would never clean one. He loved his Corgis more than anything. Now his family misses him. Forever. In his memory they placed an advertisement in their local newspaper to try and warn other families. This drug is far from safe and harmless. It can take lives. We encourage others to help this family to get the word out. Share this ad with everyone you know. Ad run in her local newspaper by a parent who lost a child because of his cannabis use. If you would like to run a similar ad in your local newspaper, email media@poppot.org. The ad artwork will be provided free of charge, the advertising space will be additional. See the medical documentation that is referred to in the ad here: Medical Documentation. Thank you, Lori, for copying my advertisement on your wonderful site. I paid $770 for this 1/4 page advertisement and it was hidden in the crack of page 20A ! –David’s mom. 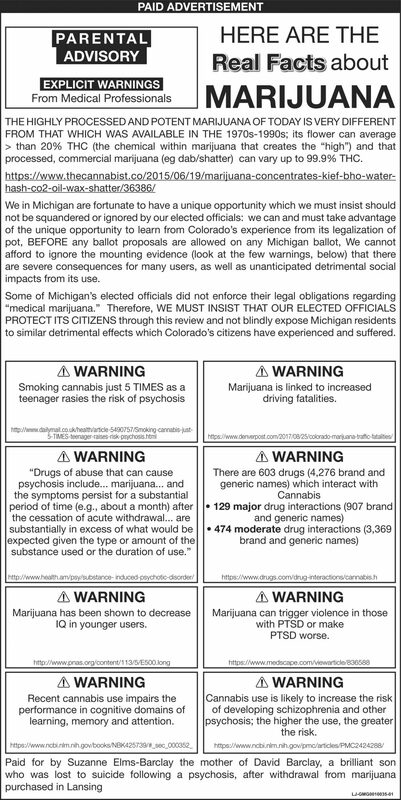 AND PLEASE, YOU CAN MAKE COPIES OF THE WARNINGS AND ADD WHATEVER YOU WANT TO THIS ‘AD’ TO MAKE IT FIT YOUR CHILD OR YOUR STATE’S ATTEMPTS’ MAY BE. I THINK ANYTHING LIKE THIS SHOULD HAVE URL: SITES just in the rare case that someone wants to learn something ! 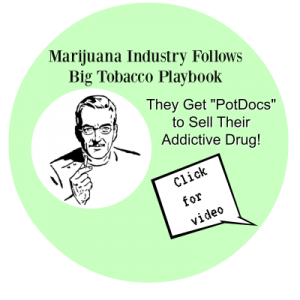 a similar thing happened to me in my small town in the week or so before our legalization vote in 2014, when i took in a flyer warning of the perils of legal pot and paid $500 for it to be published. part of the text was garbled, appearing as unintelligible gibberish. computer error? i doubt it. i assume it was the work of a pot smoking editor. You courageous moms need to keep going and never stop your advocacy. Thank you, Suzanne.